NOT a private company's power plant. Georgia schools don't have extra money to give away. But the power company is taking millions. SB 112 is in the Regulated Industries and Utilities Committee and may be considered in the 2020 legislative session. Ask your senator and representative to support "school money for schools" in the 2020 legislature! In the meantime School tax money continues to flow into the Vogtle Vortex. Who thinks using school tax money to build a power plant is a good idea? Parents... Teachers... Taxpayers... School Superintendents... Anyone...? ...Power Company Executives and Lobbyists? Do you want your school tax money to be taken to build a new private company power plant? With their "special surcharge" on the electric bill, Georgia Power and other Georgia power companies take school tax money to build their new power plant, Plant Vogtle. Whatever your views on Plant Vogtle, you will likely consider subsidizing a power plant with school taxes as misuse and wrong...at least a bad idea. A special extra nuclear construction surcharge is tacked on to schools' and almost everyone's electric bills. [picture below] This is not for electricity, it is an add-on that simply gives money to the company. How much are they taking from Georgia schools? 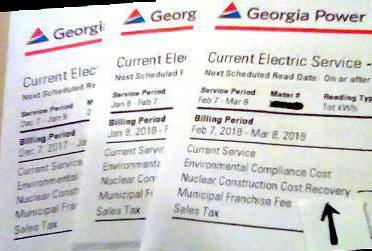 Dekalb County Schools have paid OVER 3.3 MILLION school tax dollars to Georgia Power ---not for electricity--- for the new plant. A small Georgia school district reported it could have hired a teacher with the taken money. Chatham County could have hired four teachers. Hundreds of thousands taken yearly from APS Atlanta Public Schools. Money is taken from your district too. 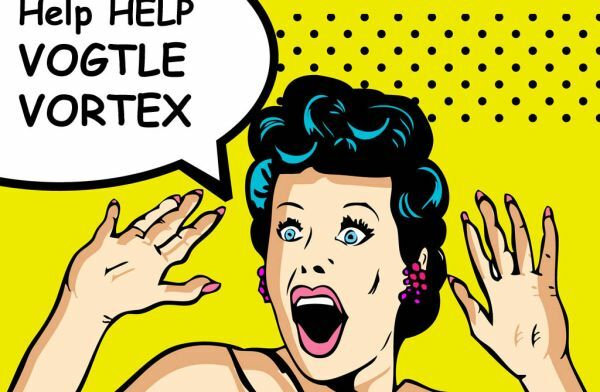 What is the Surcharge ? It's like a tax, 10 % extra added every month on the school's electric bill...and on your home electric bill, too. This is not to pay for electric power, it is a give away of tax money to finance a private power plant. Find the "Nuclear Construction Cost Recovery" [NCCR] on your electric bill...school's have it too. A sample letter [below] can help you tell in writing or by calling your representative and senator that you want school money taking stopped. What to do to correct this? 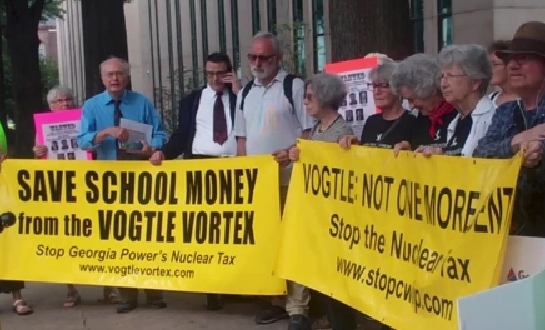 The law that Georgia Power wrote that lets them take school money for plant Vogtle can be changed. You can tell your local District Representative and Senator your view on school tax money redirected for a power plant. Share this information and your view of this with your local school district Superintendent. Share this page with teachers, friends in education, superintendents, PTA, and other taxpayers. "It's the most expensive power plant in the world"
And it's being subsidized with school money ! This is to ask you to help get our schools free of the special “Nuclear Construction Cost Recovery” surcharge that is on the school electric bill. Whatever your views on Plant Vogtle, redirecting school money...school tax money... for this non-school project needs to stop! With schools all over our state already having to cut back in so many areas – it is wrong that MILLIONS OF SCHOOL DOLLARS are taken every year to be used on a private project. Recently, the Georgia state attorney general's office and a lawyer for Georgia Power noted that state law, as written, mandates that the money "Shall" be taken. Let's please amend that law to exempt schools before more millions are taken. Please support SB 112 to keep school money for schools. For the future of our young people, teachers, and schools, it is imperative that schools not be burdened by special surtax charges on their power bills. I think more Georgians would agree with this than on most any other issue! It should not be a difficult legislative lift to give our schools a break. Thank you for your supporting "School Money Is For Schools." Do something: "... you do what you can - you don't have to do something heroic, just something. Join with others who will just do something, because all of those somethings, at certain points in history, come together, and make the world better."